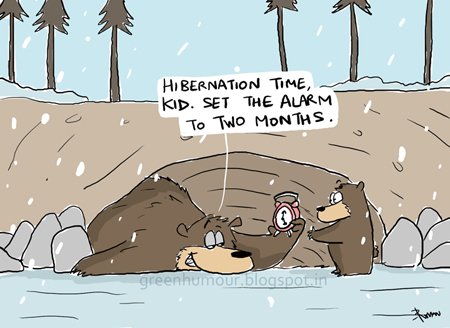 Unlike rodents or primates, hibernation in bears is a suppression of metabolic activity that occurs more or less independent of temperature changes. Some bears of the northernmost latitudes may go up to eight months without food and water, relying solely on the energy reserves in the body. Bears are also able to recycle proteins and urine in their bodies, allowing the bears to stop urinating for months and inhibit muscle atrophy.